This building has importance as an example of commercial architecture by TH Bates, a prominent New Plymouth architect. It also has historic interest for its association with an important New Plymouth business enterprise and high townscape values as a well-proportioned and prominent building located on a corner site. 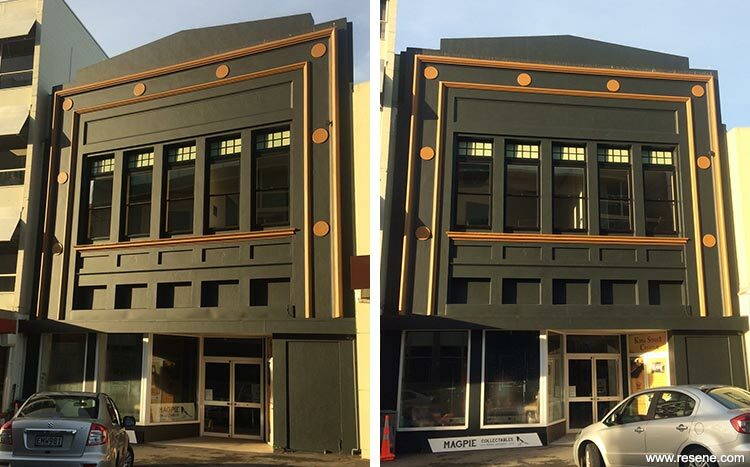 The ground floor (street level) is very well utilised by Magpie Antiques and the upper level is home to King St Studio, providing music recording for New Plymouth’s musical artists. The building has sat in a very derelict state for several years and was well and truly due for a makeover, achieved through an extensive interior and exterior renovation. 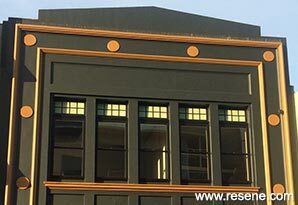 With attention given to the detail on the concrete façade with use of Resene colours – Resene Uhi on walls and detailing in Resene Oak - the building has been transformed and now truly shows its character. 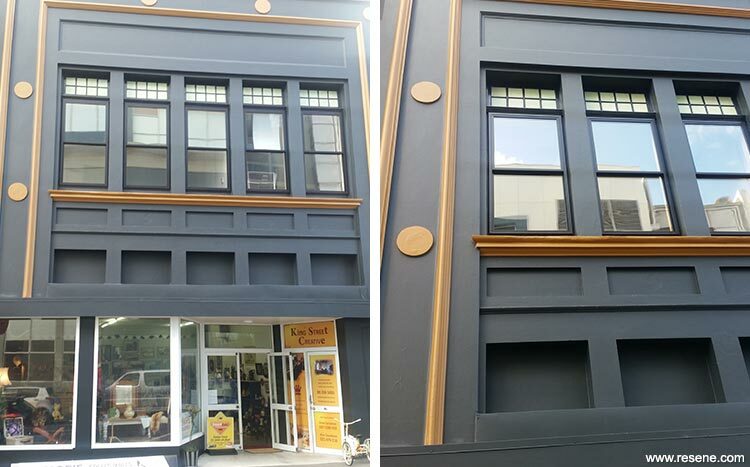 The colours in the heritage collection suited the character of the building and are in keeping with the council’s desire to have a heritage colour palette applied.